Viacom’s stock closed sharply down on Wednesday after issuing a warning that its networks could be dropped from DirecTV this Friday. Viacom, which owns MTV, Nickelodeon and Comedy Central, was down 5.5% to $26.01. It has accused AT&T, which owns DirecTV, of unfair marketplace leverage after buying Time Warner. According to MoffettNathanson Research, in January, Viacom amassed an average 2.05 million prime-time 18-49 viewers in Nielsen’s C3 metric -- the average commercial-minute rating plus three days of time-shifted viewing. This was down 15% from the same month in 2018. By comparison, AT&T’s WarnerMedia networks were collectively down 21% to 1.88 million 18-49 Nielsen C3 viewers. DirecTV is the second-biggest U.S. pay TV provider with 20 million subscribers; Comcast Corp. is the biggest with 22 million. Analysts have been wary of Viacom and other cable TV network-focused companies such as Discovery Inc. and AMC Networks when it comes to declining cable subscribers. Overall, cable TV networks continue to see average annual subscriber reductions of 2% to 3% over the last few years. 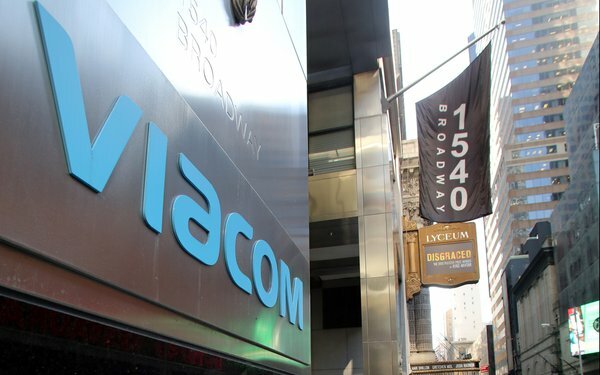 For its part, Viacom says it has renewed its network pay TV distribution deals in more than half its subscriber base over the last two years. Analysts also worry about lower prospects from new virtual pay TV providers pursuing low-cost “skinny” bundles of live, linear TV networks. Many big legacy cable TV companies have 10 to 15 or more networks in their group rosters.